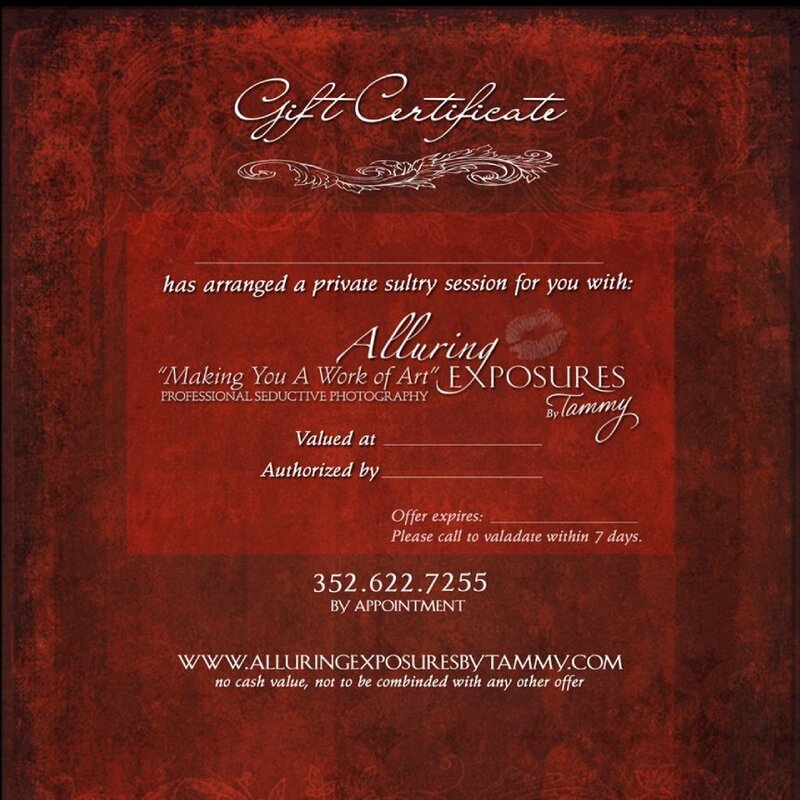 Here is an example of our beautiful certificates that we tie with a ribbon ready to gift. Portraits are a gift that last a lifetime, so surprise someone special with an Alluring Exposure portrait session. Contact us or call 352-622-7255.